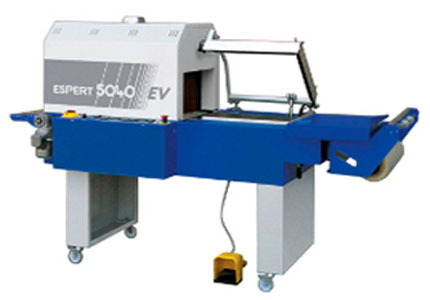 ESPERT 5040 EV -These models have been conceived to be used when more automation is required, in fact the only thing the operator has just to do is to insert the product into the film and to move it onto the sealing area, as the rest of the working cycle ( sealing, product removal and transfer inside the shrink tunnel) happens automatically. Ideal for medium-high output productions that need to wrap single and multiple products. Easy changement of size according to product dimensions and shape.